These are unique baby boots and the fabric is very soft and has the pattern embroidered on wool/rayon felt. 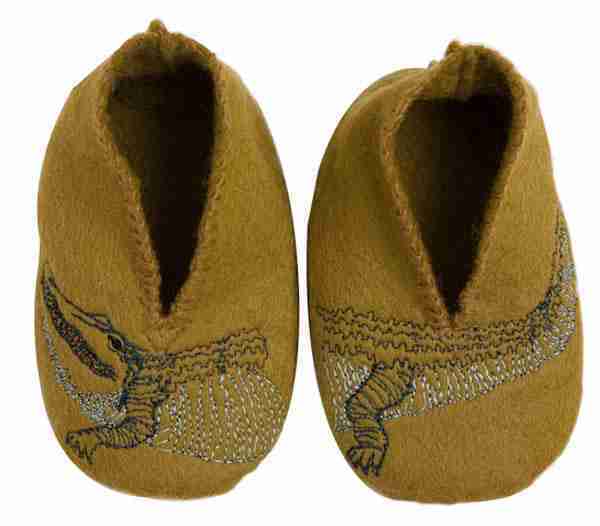 We have three baby boot designs from Coral and Tusk – Narwhal, Alligator and Goats. These baby booties are a unique gift for any child and you will probably find that you’ll want to keep them long after your child grows out of them! 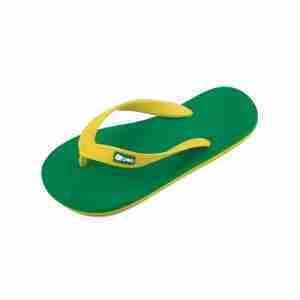 These booties are sized for 6-12 month old babies. 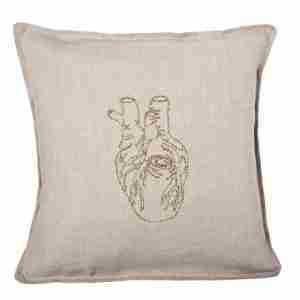 Handmade in New York and designed by Stephanie Housley of Coral and Tusk. Coral & Tusk designer and founder Stephanie Housley is a graduate of Rhode Island School of Design, she has been living and working in New York as a textile designer, specializing in woven fabrics. Stephanie spends several months out of the year in India, designing textile collections. Her experiences with textiles and crafts in her travels have inspired her unique and sensitive handling of colour and surfaces. You will find Coral & Tusk cushions, pillows and kid’s designs are heavily inspired by animals, the sea and marine life which are integrated with the use of natural fabrics and materials. Do you have a heart of gold? 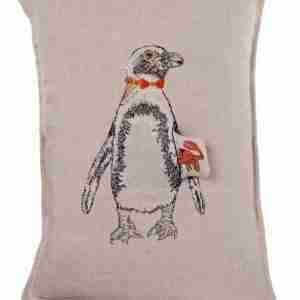 Then show it off to all with this handmade, luxurious feather and down pillow or cushion designed by Coral & Tusk in New York. Inspired by beautiful and colourful handmade vintage arrows. 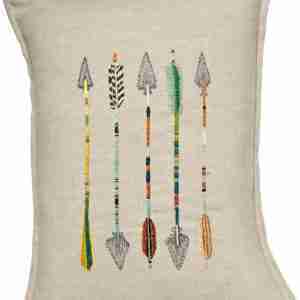 This is reminiscent of Native American arrows and reminds us of a way of living that has long gone now...Handmade, luxurious feather and down pillow or cushion designed by Coral & Tusk in New York. The distinguished bow tie wearing, monocle sporting, Mr Penguin would like to know what the time is. Luckily his crabby friend doll has a pocket watch and stays under his downy fur pocket front. 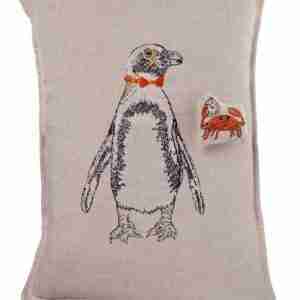 This is handmade, feather and down pillow or cushion with a unique feature...a little pocket that has a little friend in it!